I have been involved in the intuitive card reading realm for more than 25 years. I do not predict the future. I deal with your here and now. I help you connect what is in your head to your heart. We bring YOUR spirit guides to the forefront - animals, angels, birds, gods and goddesses, to assist you in creating the future you want to create. 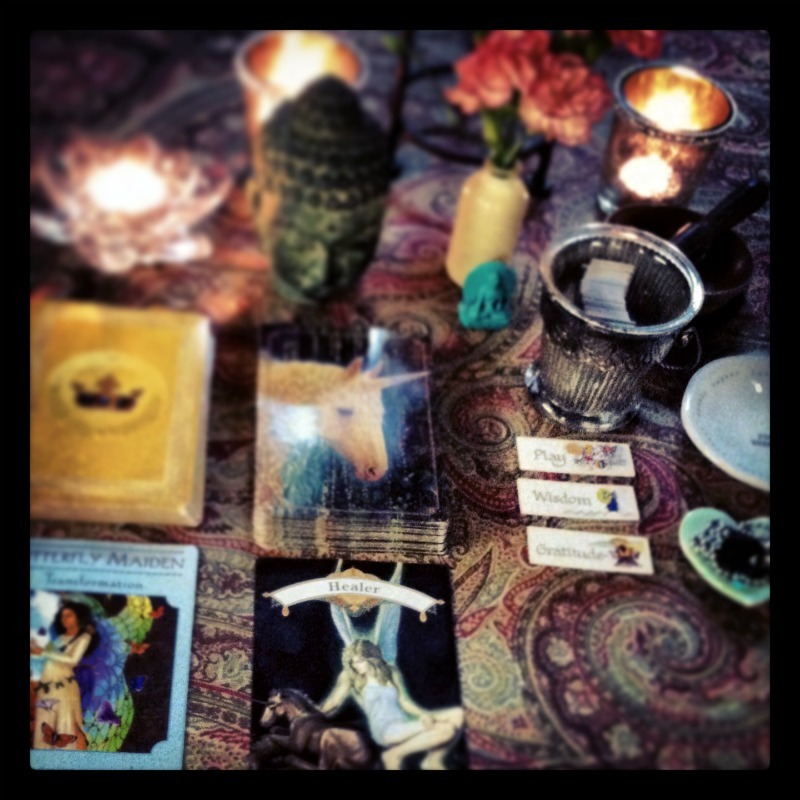 I use the Angel Cards (the small images in the picture) and Doreen Virtue's Magical Unicorn Oracle deck and Goddess Guidance Oracle deck. I can read you in the Magic Basement, at the place of your choosing or over the phone. Maggie has a special gift. She sees with all of her senses, not just her eyes. She uses her gift of clairvoyance to "spread love". After a reading with Maggie, I feel love. It's as if she has enveloped me in her enormous angel wings and she reminds me that I have angel wings too. She just reminds me how to use mine to fly.